Beatiful masterpiece Michiel! I didn't tried Simvliet yet, but I tried Rijndam 2018 and it's absolutely beautiful. Sjoerd did a good job with it, especially with NS railway system. I always wanted a small NS railway system in a map so I can test trains and let them endlessly run in circles. Also IDK if you Michiel or Sjoerd made a new rolling stock called "MCV 9000 serie". It looks like a SG3 but it has yellow stripes on top and bottom, has yellow doors, it's slightly longer and has "Rijndam rail" text on sides. I guess it's fictive but I'm not sure. But I'm not using it so much. Most of the time I drive in circles with SG2-Bursa train, which is absolutelly fitting into NS railway system, because of lacking third rail shoes. I just got Beta 3.11 installed but when I try some Simvliet 2020 scenarios, all the props, sceneries and even the trains themselves have disappeared. I even tried completely removing everything and reinstalling Metro Simulator but no luck. Same with Rijndam 2018. Can you give us the information about your graphics card ? Beatiful masterpiece Michiel! I didn't tried Simvliet yet, but I tried Rijndam 2018 and it's absolutely beautiful. Sjoerd did a good job with it, especially with NS railway system. I always wanted a small NS railway system in a map so I can test trains and let them endlessly run in circles. Also IDK if you Michiel or Sjoerd made a new rolling stock called "MCV 9000 serie". It looks like a SG3 but it has yellow stripes on top and bottom, has yellow doors, it's slightly longer and has "Rijndam rail" text on sides. I guess it's fictive but I'm not sure. Yes, it is fictional. I did not want to run metro rolling stock on the railways, and Rijndam 2018 would be a bit too modern to just run the old Bursa SG2's. 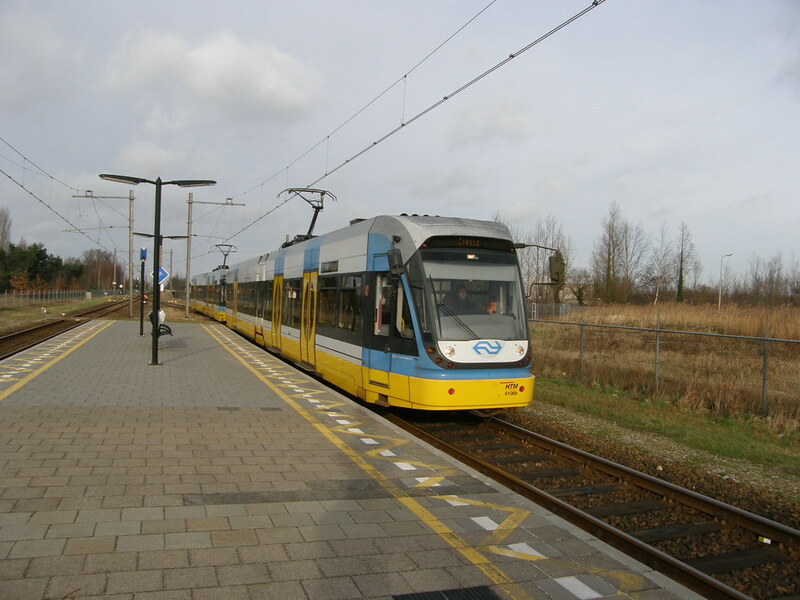 I was inspired by the Bombardier A32 tram series, which used to run on the railway between Alphen a/d Rijn and Gouda, on the same tracks as normal trains. Back then, they where planning a large lightrail connection, linking tramway and railway together (and re-introducing tramways in my home city Leiden, which I was really looking foreward to). But they made a huge mistake; they did not hurry up with the project, and after the povincial elections, the entire project was cancelled, and the 6 trams already running as a trams-and-trains-on-the-same-tracks pilot where sold to Stockholm. But I'm not using it so much. Most of the time I drive in circles with SG2-Bursa train, which is absolutelly fitting into NS railway system, because of lacking third rail shoes. There are no activities especially for the railroad sections in Rijndam, but the MCV9000 is used as AI traffic (which you can always take over yourself ofcourse) in all activities. Intel Iris Pro 5200. I did not have this issue with 3.10. 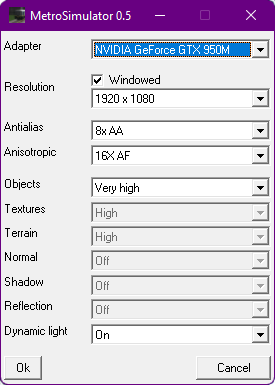 Try searching for "Metro Simulator Beta Setup" and set these parameters to maximum (Objects, Terrain, Textures). I had these settings on low. Anyways deleting everything in %LocalAppData%/MetroSimulator fixed it. So I tried Simvliet 2020 and it's nicely done! When I came here, at first I was like "Meh, not so much changed. Only some stations were modified." But when I went to Simvliet Haven, and I saw the difference, I was like "*mimics Sniper from TF2* "Holey dooley!" It seems that Sjoerd wasn't the only one who added small NS railway system. I already took a ride in that network with SG2-Bursa, but I can't spawn a train on a track leading to NS railway system, but no problem for me, just spawn the train near train station in Simvliet Haven and next to it spawn a diesel locomotive. And rest of the procedure you proabably know. But there's another thing which impressed me, the diesel locomotives has a functioning lights on front and rear side and a small rotating beacon on the roof which can be toggled. Ironically, when I am looking on the front side of the diesel locomotive from further distatnce and red lights are lit, it looks like the locomotive "has embarrassed face ". Also with warning beacon turned on, I feel like I have to say "Outta mah way b*****s!" Museumpendel means "museum shuttle". This can be used for simulating museum shuttle from Simvliet Centraal. setting this code gives you access to Simvliet Centraal and Simvliet Haven train station.